According to the Government Health and Safety Executive (HSE), asbestos is a naturally occurring fibrous material that was a very popular building material in the 1950s, notably for insulation materials. Commonly grouped into two mineral types, serpentine and amphibole, asbestos can cause a variety of life threatening diseases such as lung cancer and Mesothelioma. How do I recognise if I have asbestos? To properly deal with asbestos, the best thing to do is to call in a team of asbestos professionals to identify its location, what type of asbestos you have and how severe the contamination of materials may be. Yes we are. Here at Asbestos Transfer Station, we are a fully licensed company by the Environment Agency to carry out the safe disposal of asbestos. We also adhere to the 2005 Hazardous Waste Regulations Act to ensure we are in no way harmful to the surrounding environment in which we operate. How do you dispose of asbestos contaminated materials? 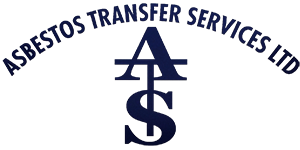 Here at Asbestos Transfer Services we operate our own asbestos transfer station in Chadwell- St- Mary, Essex. We use this transfer station in accordance with the Environment Agency to safely store of asbestos contaminated materials. Do you hold the relevant insurances? Yes we certainly do, look here to view our cerficate of employers liability insurance the insurance is current. Will launch in a new window.